Aguilar & Associates provided support in the development of the facility program, master plan, and design for the new Los Angeles Union Station (LAUS) concourse and platforms. The Link Union Station (Link US) project is a Los Angeles County Metropolitan Transportation Authority (Metro) project designed to meet the long-term regional rail needs at LAUS by allowing the station to function more efficiently and providing a better overall passenger experience. As an Architectural Consultant to HDR Engineering, Aguilar Architects, Inc. consulted with the many Union Station stakeholders, including High-Speed Rail, Metro, Amtrak, and LAUS management. 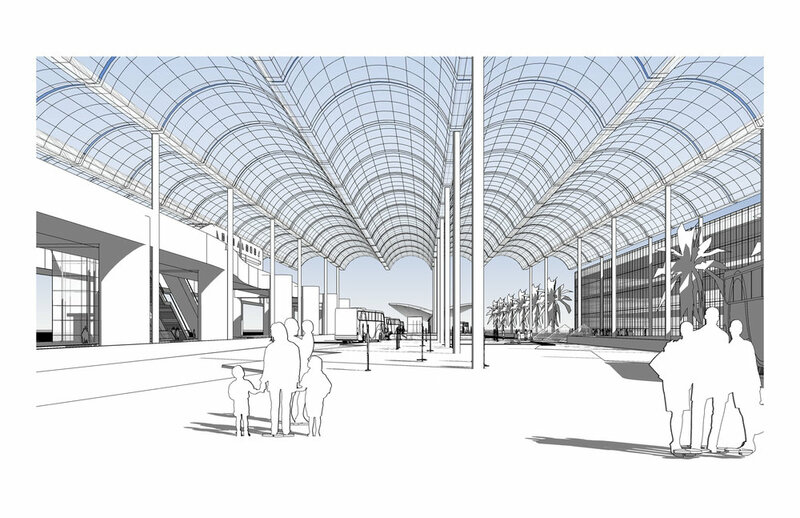 We developed programming and planning documentation for the main concourse. The program detailed the functional spaces, areas, operations, equipment, utilities, and headcount that will determine the operational objectives and capacities of the platforms and the concourse. Support services for the Site Context by conducting research regarding the surrounding areas and neighborhoods to gain a thorough understanding of the cultural context. Review of the LAUSMP Historic Resources technical memoranda, and reference documentation; developed a Furnishings and Equipment Inventory following the efforts in support of the Platform and Concourse Programming Analysis. Developed an inventory of equipment for the baggage handling services supporting the passenger rail customers. Baggage handling and maintenance crew circulation were also addressed. Prepared a Facility Operations and Passenger Equipment Program that included the final preferred inventory and schematic plan, as well as minutes for all of the meetings.